History Lover’s Guide to Johannesburg. Jozi is the financial and industrial capital of South Africa thanks to its rich gold mining history, but it is also the perfect destination to learn about South Africa’s complex history having been a crucial spot for many of the events that shaped South Africa. So for the history lovers out there here are just a few spots where you can immerse yourself in South Africa’s past. The Apartheid Museum is an interactive and moving display of the rise and fall of the apartheid regime in South Africa from 1948 to 1994. Through film, text and audio accounts of real stories the museum gives visitors a chillingly authentic view of what life was like during one of the worst and most historically poignant eras of South Africa’s history. Upon entry visitors are given a card and must enter the museum through the “whites only” entrance or “non-whites” entrance according to the card they were given. This is a direct example of the segregation that occurred during apartheid and the museum is the perfect place to learn about the history, struggle and road to democracy for South Africa. Apartheid Museum. Photo Credit: Georgia Popplewell- Flickr. 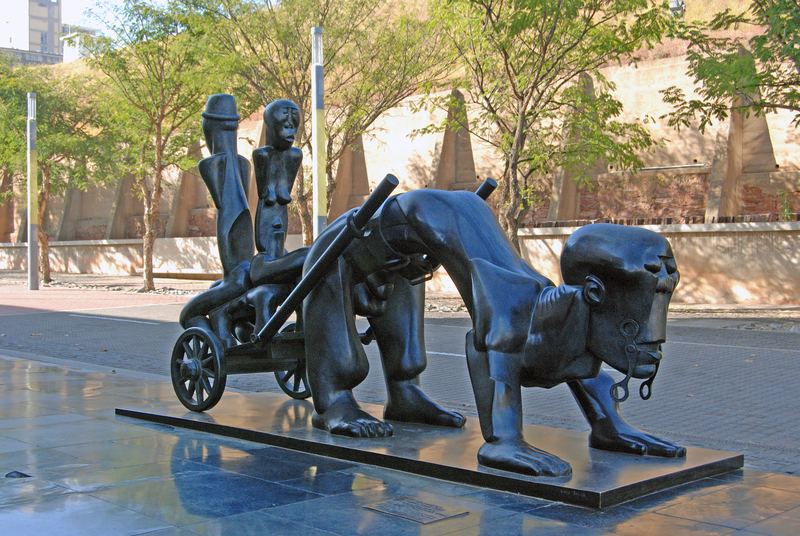 A Dumile Feni (1942 -1991) sculpture in front of the South African Constitutional Court. Photo Credit: Harvey Barrison- Flickr. This grand monument stands over 40m tall and was built in honour of the Voortrekkers (pioneers) who made “The Great Trek” from the Cape Colony between 1835 and 1854. The Hall of Heroes which makes up the main body of the building is decorated with Italian frieze illustrating the history of the journey. With over 200 000 visitors a year it is definitely a popular spot. The museum also offers a great opportunity to learn more about the Afrikaner history of South Africa. 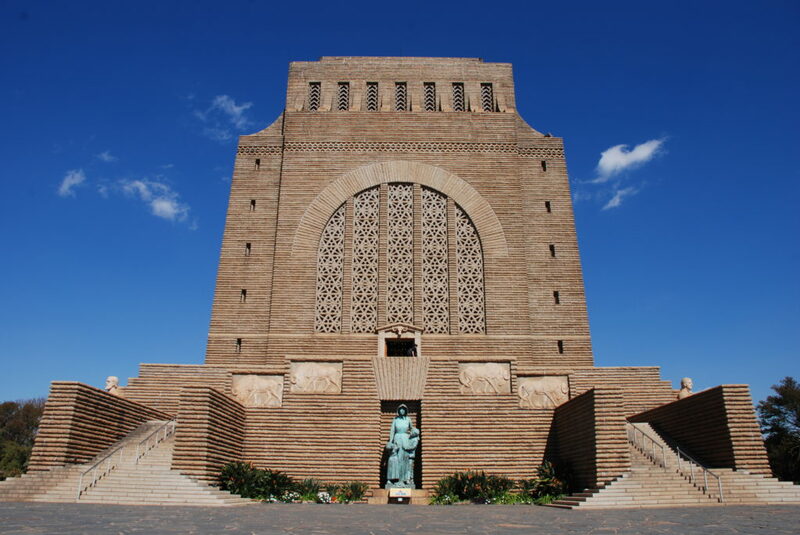 Voortrekker Monument. Photo credit: Rob-Flickr. 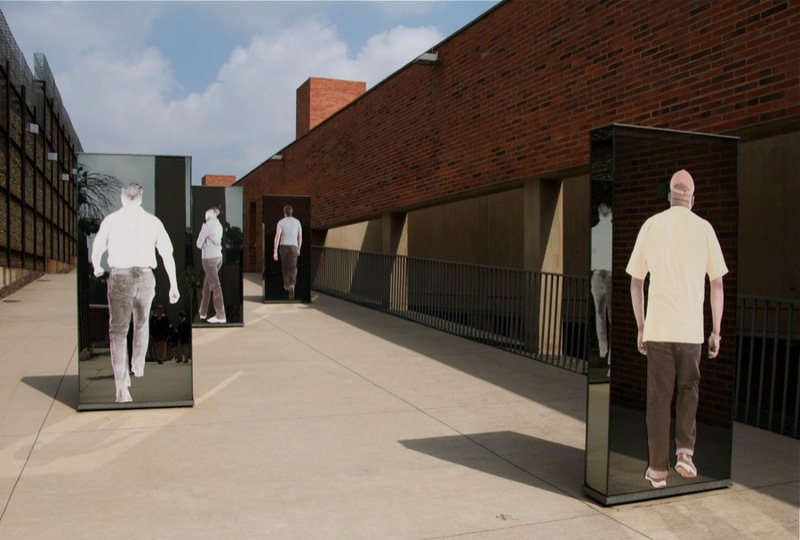 The Hector Pieterson Memorial and Museum commemorates the role that the South African youth played in the struggle against apartheid. Situated in Soweto, only a short distance from where police opened fire on students protesting sub-standard education in black schools on 16 June 1976. Hector Pieterson was one of the students shot and killed during this tragic event and a photograph of a student carrying his body with his terrified sister running alongside flooded the worlds media and became an important symbol in the resistance. 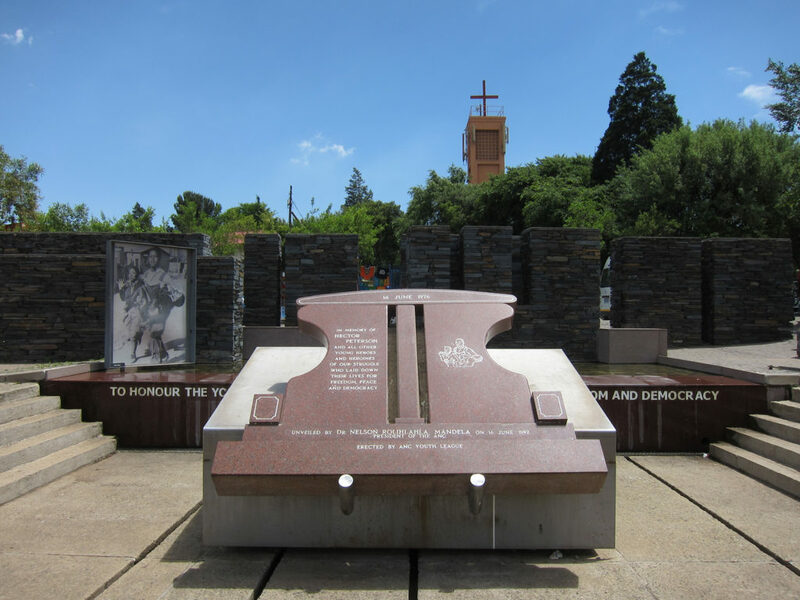 The events of that day are remembered at the museum which takes you through the immense pain and passion of a group of young people who had a large impact on South African history. Hector Pieterson Memorial. Photo Credit- Martijn Munneke- Flickr.